Home » Is This Injured Longshoreman Protected By Maritime Law? A longshoreman was driving a yard mule truck loaded with granite and iron bars at the Sun Terminals shipping container yard when it collided with a golf cart in a four-way intersecting path. The driver of the golf cart died and the longshoreman sustained injuries. It seems the shipping yard does not have signs or traffic controls in the area the crash happened. Although this accident happened on land, longshoremen and other maritime workers are still protected by maritime law when they are injured on the job. While the Longshore Act will provide you with the compensation you need to recover, including medical bills and lost wages, it is not necessarily a lawsuit against your employer. 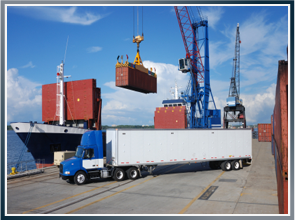 The only way to file a lawsuit while still receiving benefits under the Longshore Act is to file a third-party claim against an entity or person outside of your company. For example, if any of the above workers were injured to either negligence or someone who is not employed by their company, it is possible he or she will be able to file a third-party claim against the negligent person or their employer. David Anderson is a maritime attorney who fights for those who are injured at sea. Previous How Did This Fisherman Sustain Propeller Injuries? Next Are Tourist Boats Safe?